Circle promises fee-free, insured Bitcoin banking to the masses. Bitcoins: Always fascinating, sometimes dangerous. But if Circle Internet Financial is to be believed, the cryptocurrency racket is about to go legit. The biggest issue with Bitcoin facing crytocurrency enthusiasts is security -- one only needs to think of the Mt. Gox catastrophe to bring pause to Bitcoin investment. But Boston-based Circle is promising to be a different kind of Bitcoin bank -- different in the sense that it will adhere to the same regulations and practices as more traditional financial institutions. Circle is now open to all comers, after a lengthy invite-only operational period, and security seems to be the name of the game. Anyone doing cryptocurrency business with Circle will be fully insured "at no cost," something many Bitcoin depositories aren't offering (Mt. Gox certainly didn't). All US-based customers will be able to link their Circle account to an existing bank account, which should simplify the currency transfer process. This feature isn't yet open to international customers, but Circle is open to international business, and it appears that account linking is the only feature lost to non-American customers. Circle is offering its services in seven languages so far, with more promised in the coming months. But politics and government are also playing a role in Bitcoin, as cryptocurrency is very much a grey area for much of our bureaucracy. Circle is promising that it will adhere to US anti-money laundering laws, which could put a politician or IRS manager or two at ease. Trading in Bitcoin can be very safe and secure on the user end, its other security concerns aside. But a lack of institutional adoption has held the anonymous currency back. Circle could help reverse the stigma for many financial bodies, and its upcoming Android, iOS apps should make dealings easy for customers. And hey, if Bitcoin is good enough for PayPal, it's good enough for you, right? Doesn't matter what practices Circle say they will adhere too, any deposit will not be covered by Federal insurance. Yeah, fully insured by whom? Honestly, "legitimate bitcoin" seems like a contradiction in terms. Isn't anonymity - and anonymity's close cousin, money laundering - the primary point of its existence? I think it was the point of its existence, but it's starting to branch. 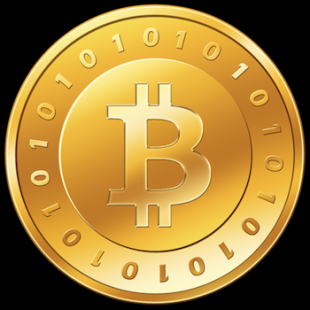 BItcoin was created as a proof of concept that a cryptocurrency can exist and could work in reality. its anonimity allowed some criminals to abuse it, but same applies to cash money. in fact from what is known less than 5% of bitcoin is used for illegal things, so its hardly primary point of existence. That being said, i too want to know who is mad enough to insure bitcoins. also a "fee-free and safe" is a oxymoron. All past evidence, including what you've mentioned, basically states that it did not work, so let's just call that experiment a failure. Oh, yes, it did not work. it did not work so well that it became the fastest growing trade good in decades. it did not work so well that even paypal accepts them now. its complete failure that their price rose hundrefold in its lifetime and if it were officially backed currecy - it would be the strongest one in the world. its definatelly a complete failure! Let's see here... The links all lead to things saying 'Bogus', 'Catastrophe', 'Fraud'... Clearly, we ain't readin' the same rag here. Gonna have to call it like I saw it. After all that's happened, even a positive story would sound like wishful thinking. No, they do not. you imagine them to do. you have expressed your clear hate for bitcoins multiple times and were proven wrong multiple times but refuse to acknowledge it. heck, you even imagine some "links" here whereas i posted none. Okay, first...no I wasn't. That was you. You never proved anything to me and the stories we were discussing under never backed your points. Second, I was pointing at the OP links. Because...that's where I would find them. Why would anyone point to a post devoid of links and say there are links there? That doesn't make any sense. So, basically, the overall theme of my response here is...huh? It was other posters that proved you wrong, at whitch point you "failed" to respond to them. The stories were about bitcoin failures because that is where you seem to post about bitcoins. You may meant OP links, but you did not say so. you quoted me and said "The links", which i took as you meaning my links. In whitch case the response is simple: so after so many "Catastrophes" it seems to still rise while other currencies would be compromised, proving its stronger than you give it credit for. Nope, still confused. I remember you refusing to accept things in the face of overwhelming evidence, some of which you actually provided for me that harmed your own case. Nobody has been nearly as passionate in a disagreement about this than you, but you were proven wrong. I'm sorry, but that's a fact, and you can't budge me from that, though people have tried. May as well tell a dog with a steak in its mouth that you want the steak in its mouth because it's not really a steak. It's a steak and he can taste it, and you can't have it.